Some kind words to make your day. We all need it. 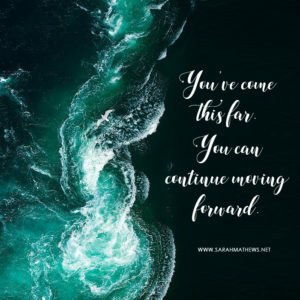 You’ve come this far, you can continue moving forward. 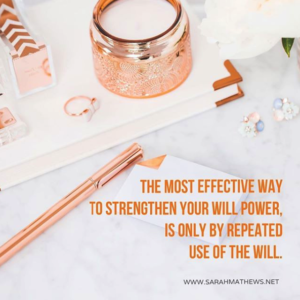 Effective way to strengthen your will power, is only by repeated use of the will. 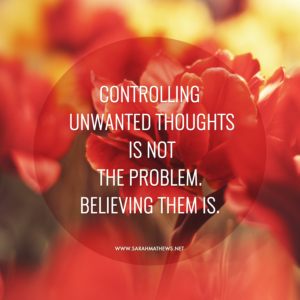 Controlling unwanted thoughts is not the problem. Believing them is. At times we cannot stop ourselves from having negative, depressive thoughts. We are human. 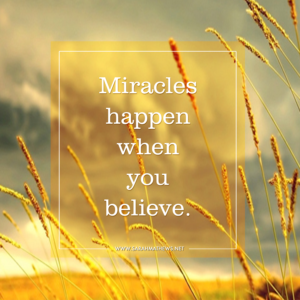 Miracles happen when you believe. 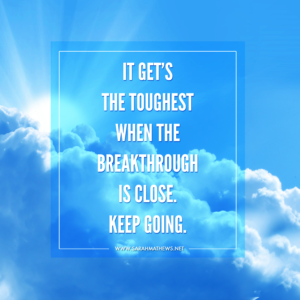 It gets toughest when the breakthrough is close. Keep going. 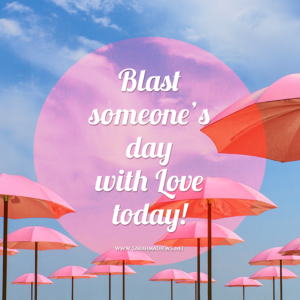 Blast someone’s day with Love today! 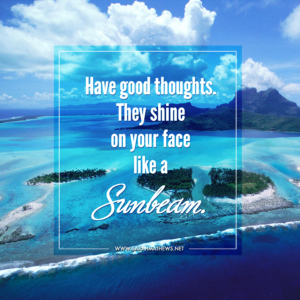 Have good thoughts. They shine on your face like a Sunbeam. 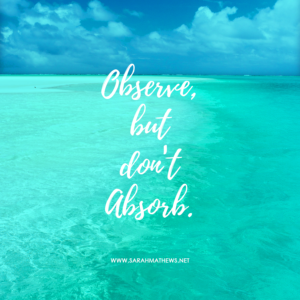 Think of what can go right in every situation that is put forth you. 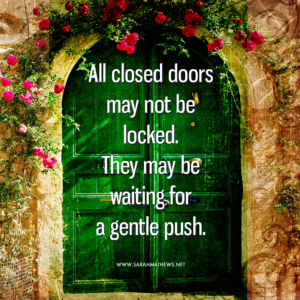 All closed doors may not be locked. They may be waiting for a gentle push. 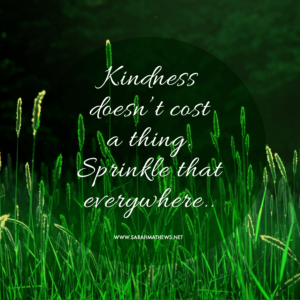 Kindness doesn’t cost a thing. Sprinkle that everywhere. 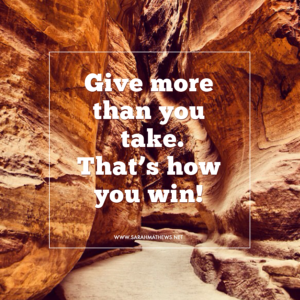 Give more than you take. That’s how you win. 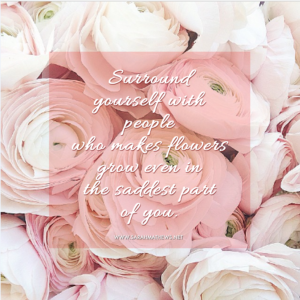 Surround yourself with people who makes flowers grow even in the saddest part of you.